We rely on our friends for a lot of things, and that definitely includes providing emotional support when things are difficult. So it makes sense that teenagers struggling with mental health challenges would turn to their friends to vent, unload, and ask for backup. But it can be difficult to figure out when a friend who is feeling down or anxious is just moody and when it’s something more. It’s hard to know when all you need to do is listen, when to say something, and what to say. It’s especially hard to decide when you should bring it to the attention of an adult, and how to do that without breaking your friend’s trust. Depression and bipolar disorder affect nearly 15 percent of teens and one in three teens will meet the criteria for an anxiety disorder by the time they’re 18, so negative feelings, when they last a long time or are overwhelming, are nothing to be dismissive of. Ask how you can help. It shows you care, and helps take some of the guesswork away. What he has to say might surprise you. If he doesn’t have an answer ready, it might encourage him to start thinking proactively. Be understanding of her limitations. For example, if your friend is depressed, don’t expect her to go out with you every time you invite her. But do keep asking, and let her know that her company is valued. Don’t gossip. It is often very difficult for people to open up about mental health challenges. If a friend confides in you, respect his trust and don’t share more than he would want. Know that it is okay to go to an adult for help if he needs it, however. Change the subject. Listening is important, but sometimes so is providing some welcome distraction. All of your conversations don’t need to be about your friend’s mental health. Sharing what is going on with your life, talking about something you’re both interested in, or taking a break and going for a walk or doing yoga together might make her feel good. Remember that you are never solely responsible for another person’s mental health. You might feel responsible, and your friend might even be making you feel like you are the only one who understands and can help, but that isn’t true. There are professionals who have been trained in helping people with mental health challenges, and sometimes as a friend the best thing you can do is step back so that your friend can start getting help from one of them. One final note on this subject: If a friend (or romantic partner or ex) is threatening to hurt himself or you because of something that you do, immediately tell an adult. You can’t provide the assistance that he needs, even if you want to. If there are any concerns about safety whatsoever, go to an adult. If your friend is hurting herself, talking about hurting herself, or showing signs that she might hurt others, then it’s important to seek help. If you believe a friend has developed an eating disorder, it’s urgent that she get help, because eating disorders are a serious health threat, and the longer you have one, the harder it is to recover. If a friend seems to be experiencing a psychotic break — she has hallucinations or beliefs that aren’t realistic — she needs help immediately, before she hurts herself. If the situation feels more adult than you should be dealing with, it’s probably time to consult a grown-up. “Any sort of gut feeling, any reaction you have that this doesn’t feel right, I might be too young for this information — or maybe there should be another person here who should be taking a part of this responsibility — then it’s important to go to someone at school or directly to the teen’s parents,” says Dr. Macchia. If your mental health is being impacted by the weight of this friendship then you should talk to an adult. 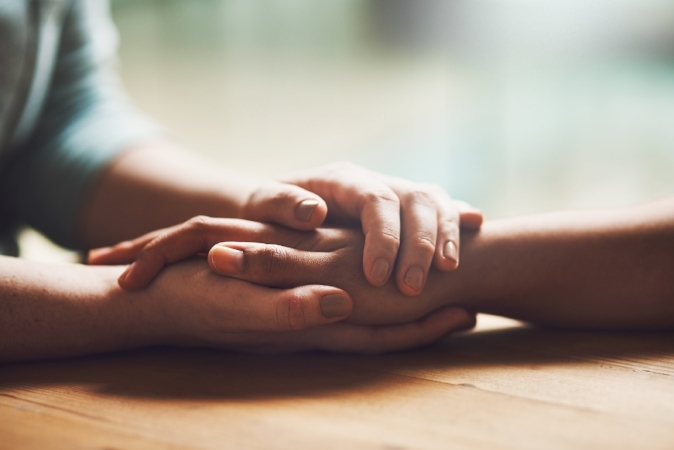 Whether you feel increased anxiety, are showing signs of depression, or are considering self-harm yourself, it’s definitely time to get help for both yourself and your friend. Share why you feel it’s time to bring in a grown-up. Let them know why you are concerned, and that you feel it’s time to seek additional support — because you care. If you are having a hard time, Dr. Macchia recommends trying some self-validation. “Remind yourself that it makes sense to feel worried about your friend’s reaction to you telling an adult, and yet you are doing what you feel is best for them, for yourself, and for your relationship in the long run,” she says. It’s easy to get caught up in a friend’s problems, but there’s a fine line between being a supportive pal and it going too far. If you’ve become “parentified,” as Dr. Macchia says, or feel like you’re a therapist, it may have crossed a line; it can feel a crushing amount of responsibility. “On one hand is concern and worry and sadness about what’s going on in your friend’s life,” says Dr. Macchia, “but also there can be an impact in terms of taking on another person’s symptoms as well.” You might find yourself adopting some of their feelings, and unhealthy coping mechanisms. Whether you are the sounding board for some serious stuff or are just on the receiving end of a lot of drama, it can be wearing, so it’s important to make time for self-care. If you are feeling symptoms of anxiety, depression, are withdrawing from activities you usually enjoy, or are thinking of harming yourself, it’s worth seeking professional help. You can speak confidentially about what’s going on and your clinician can help guide you and share helpful coping skills. Talking to your parents can also be helpful. Most importantly, Dr. Macchia advises teens to “turn your attention to things that bring you joy.” She says if you love dancing, then keep dancing. Things like yoga, going for a run, getting a massage, or even shopping are all contenders for self-care — whatever makes you happy. Because in the end it’s important to be a good friend, but if you’re not taking care of yourself it’s hard to take care of anyone else. Donate today so we can share more expert resources!